Trekking to Everest Base Camp for a great cause. My wife Gillian and I manage a charity in Northern Ireland, Friends of Vispa , which supports and partners with a school and orphanage called Vispa Academy located in Kisumu, western Kenya. Vispa currently educates and supports over 600 highly vulnerable children and young people from pre-school through to university, helping them break free from the entanglement of generational poverty. We wanted to organize an event which would raise the profile of the work of Vispa , and which would also raise funds for the building of a new primary school to accommodate around 400 pupils . 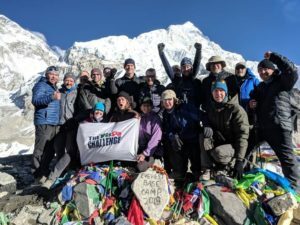 So about a year ago we decided that a trek to EBC would be of a sufficiently high profile to raise awareness and funds. We asked around locally would people be interested . Very quickly we received positive responses from a range of people. Some young people ( around 25 years old or so ) who were very active , wanted an adventure and knew of the work at Vispa and wanted to support it. 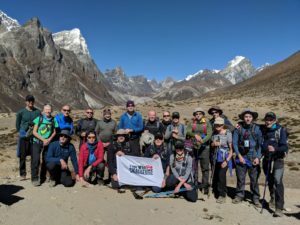 A number of people older than 25 ( from an age range of 58 to 70 ) who had trekked and walked all their life locally in the UK and Ireland , but who wanted a chance at doing a once in a lifetime trek to Nepal and see Everest. We also had a group of people around the age of 50 who had by their own admission gotten out of shape and hadn’t exercised in years , decades to be honest. This group wanted to do something for Vispa , but also knew that as we had a year before we intended to trek , this would give them the incentive to get on their boots , go outside and start walking. Eventually we had 19 people who committed to go to EBC . We needed a trekking company we could trust , and who could look after and guide our group. After a month or so of discussions with various companies we decided that Ian Taylor Trekking gave us the most comfort and confidence . 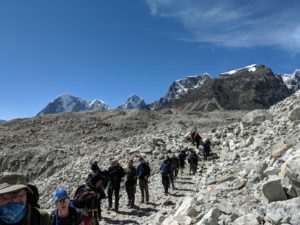 Ian’s personal engagement and emphasis on preparation , safety , care for the group and ultimately the focus on a rewarding and successful experience in the mountains of Nepal was the key factor. 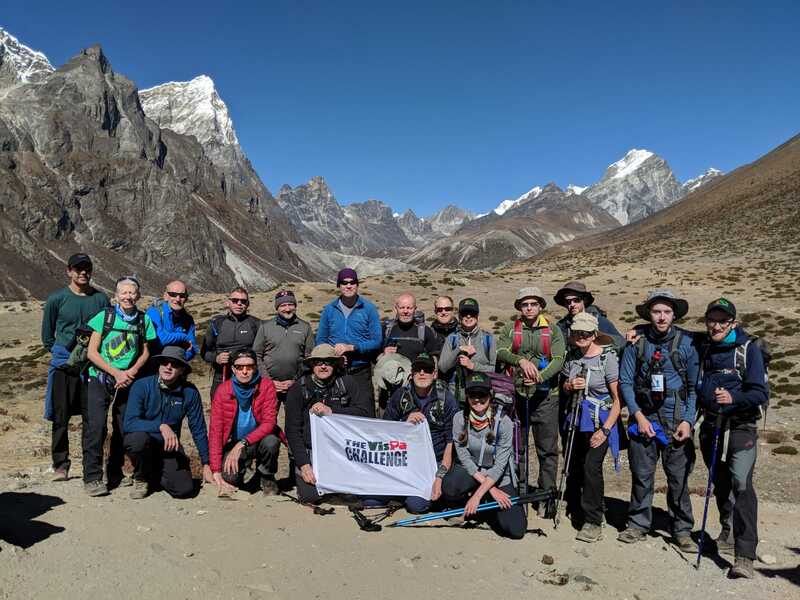 And so we departed for Kathmandu on the 6th October 2018 after 6 – 9 months meeting and training together as a group , following the training guidance of Ian Taylor Trekking . From our arrival when we met our guide , Dawa Sherpa, to our flight to Lukla , and then the commencement of our trek to EBC , we received excellent and sensitive care , instruction and encouragement from Dawa and his team ( Pasang Sherpa , Ang Kamee Sherpa, Tshering Sherpa, Arjun Rai , Ang Ringee Sherpa , and our two Yak drivers ) which enabled us to meet our goal and reach base camp. 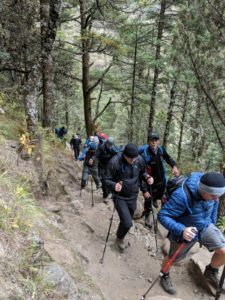 We had differing fitness levels in our group , and also some normal and expected health reactions throughout the trek – gastro and altitude – but the pacing and tempo set by Dawa was perfect each day . Our goal was that we would complete the trek as a team, not as individuals , and Dawa knew this and managed our trek around it . 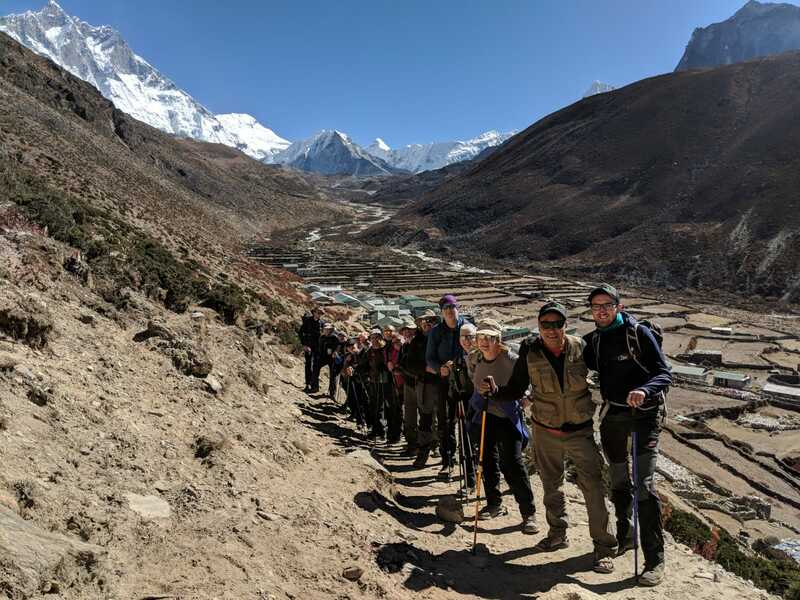 Simply put , we could not have completed the trek together without the help of him and his team. 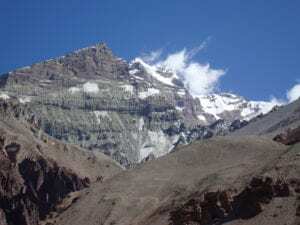 Read some REVIEWS from Ian Taylor Trekking trips. The response to our trek was , and has been, excellent . A great amount of awareness has been raised for the work of Vispa in Kenya . We raised over £45,000 and building on the new primary school will begin in January 2019. Part of the reason for this was that our friends and those who supported us knew it would be a genuine challenge for us to get to base camp , physically and mentally , and also dealing with the altitude and temperatures . 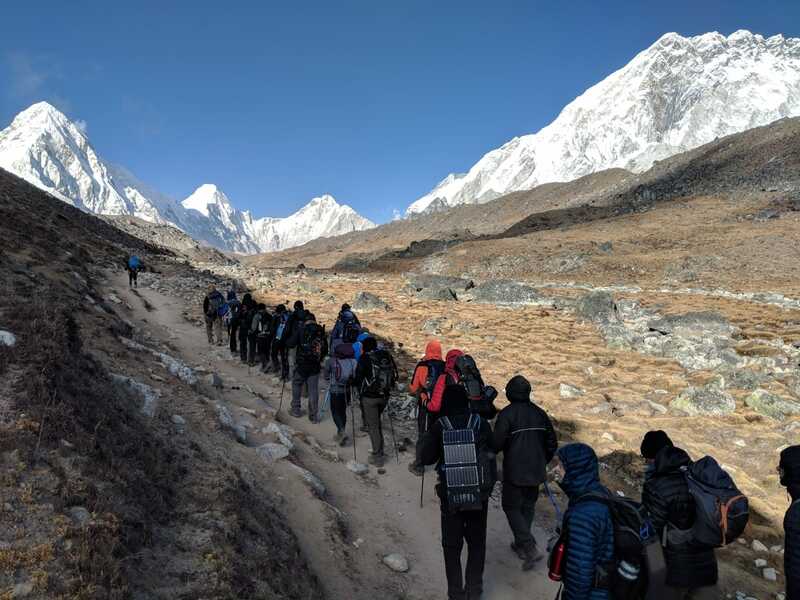 That is why the choice of guide and trekking company is so essential – for safety, and for success. Colin Hayburn, Friends of Vispa.